Perhaps it would be better to list it as English Resources or Resources for Teaching Literature and Composition. As a member of the Schoolhouse Review Crew I’ve had the opportunity to use several different programs including those focused more on literature, those focused more on writing skills, and those that strive to teach one through the other. These are my most favorite resources for teaching Language Arts or English at the high school level. They are listed in no particular order. I fell in love with IEW’s approach to teaching writing about 5 years ago when I first reviewed Teaching Writing Structure and Style and Student Writing Intensive C. This is a high school level writing program that teaches parents and teachers how to teach writing. The program can be adapted to add grammar and literature for a full English course. Earlier this year I had the opportunity to review the revised brand new updated Teaching Writing Structure and Style. I also love and use their High School Essay Intensive. Both Turtlegirl and Boobear have used this as part of their prep for learning how to write high school level essays and for prepping for the essay portion of the SAT. The essay portion of the SAT will become optional but Boobear tells me that HS Essay Intensive helped prep her for all the little essays and short papers she has had to write in college. I was first introduced to LLATL at small homeschool group meeting where moms were doing a kind of show and tell of the curriculum they were using. My oldest wasn’t quite 3 years old at the time and my youngest hadn’t even been conceived yet! I loved that it was a complete language arts program that taught writing through great literature. We even used LLATL for a few years when the girls were, you know, old enough to do school. Learning Language Arts has at least TWO High School level programs available: The Gold Book which covers British Literature and includes novels such as Emma by Jane Austen and Frankenstein by Mary Shelly and the Silver book which covers American literature. We’ve had the privilege of using and reviewing two programs from Writing with Sharon Watson. The first is a writing curriculum Writing Fiction [in High School]. I recommend this program for students who want to right fiction especially a full novel. I think it pairs nicely with NaNoWriMo. The other is my current favorite high school Literature program. This is what we are using right now with Tailorbear: Illuminating Literature: When Worlds Collide. I do have to point out that I love how thoroughly this program teaches literary analysis. This doesn’t use the typical selections found in so many other programs but I found it a refreshing change. Please go visit these blogging friends of mine from the Schoolhouse Review Crew. Find out what they have to say about Homeschooling Language Art in the High School! 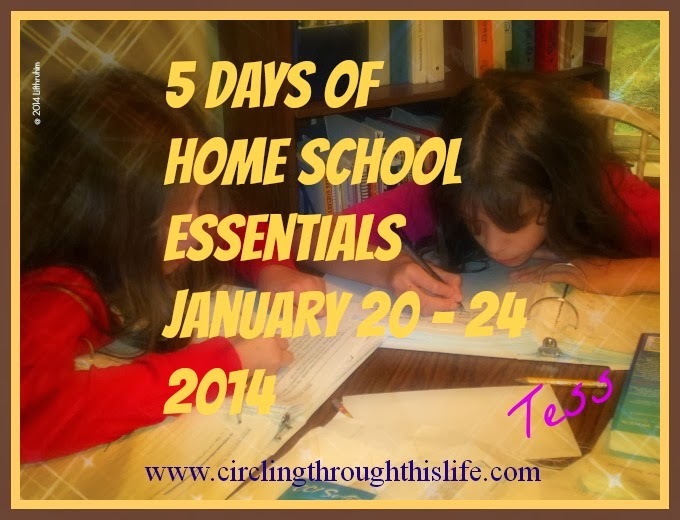 Come back next month for another installment of the Homeschooling High School Blog Hop! If you are a regular reader of my blog, then you might already know that my family loves board games. We often schedule days just for playing games and our family plans holidays around game playing. It isn’t Thanksgiving if we don’t play a game. The girls know that there is going to be at least one new game to open and play at Christmas. Knowing that we love games, I was excited to see USAopoly on the list for Crew Reviews. They generously provided two games for us to enjoy: Tapple: Fast Word Fun for Everyone and Wonky: The Crazy Cubes Card Game. I thought that I had never heard of USAopoly before seeing them listed as an upcoming vendor for the crew. Then I started poking around the website. I may not have recognized the name but my family actually had at least one game created by them! USAopoly has been publishing board games since 1994. Some of their games are themed games licensed from other companies. Really like Harry Potter? Firefly? Maybe you’re a family of Whovians like us. They publish themed versions of popular games. But, they also publish original games such as Wonky and Tapple. Tapple is a fast paced family friendly word game that requires no spelling! This would be a great game to play at parties as I think the more people playing it the more fun it would be. It is listed for 2-8 players and I think 6-8 would be ideal! And you can play as teams. The Tapple wheel is made of sturdy plastic. The timer is a large red button at the center and the category cards are conveniently stored in the bottom. There are 36 cards with a combined total of 144 categories. Categories are divided into easier cards on side and more challenging topics on the other. I thought we would be able to adapt this game so that all 6 of us could play but Supergirl’s disabilities made it more complicated that I first thought. We started by allowing her to have twice the amount of time. If the buzzer went off, which it did frequently for her, she got to tap it again for another 10 seconds. We also found that we had to be more fuzzy with the words because she didn’t quite grasp the concept of listing items in the same category but with different things. I think the more we play it, the more she’ll grasp the concept and then we will be able to just use the time adaptation and be able to play the game as a whole family. Tapple isn’t just fun entertainment. The Tapple wheel can be used for school time too! I decided that since Supergirl wasn’t really able to enjoy playing the game with us we would use it make school a little more fun. USAopoly lists some suggestions for learning time with Tapple. I used it primarily to help her with thinking and processing. We turned the timer off and I would pick a category and encourage her to think of as many things as could with different letters. This helped her solidify the first letter/first sound connection. USAopoly also suggests using Tapple for spelling practice. That is on my list to try! This is a card game, but with a twist. The object of the game, like many card games, is to get rid of all your cards. Unlike other card games, this one requires you to build a tower. The tower is going to be wobbly because you are using odd shaped blocks. The object then is to get rid of your cards without toppling the tower. If the tower falls over, you must take three cards and play continues with building a new tower. This game is very portable. The deck of cards, instructions and all nine blocks fit perfectly into the purple drawstring bag making this a great option to take on the go. I can see my family bringing this along to play while on a picnic. It would be great to bring along camping for those rainy days. This is the game that I wasn’t too sure that Supergirl would be able to play. I was afraid her fine motor skills would not be up to the challenge of trying to balance the odd shaped cubes to create a tower. But she surprised me. We did have to adapt it by making sure we started the tower close to her but she was able to play the game independently. As a family we are divided as to who prefers which game over the other. Supergirl loves Wonky while Tailorbear surprised herself and said Tapple was her favorite of the two. She said it was fun and she liked how she could take time to think of other words. Turtlegirl is divided and can’t make up her mind. I love the educational aspect of Tapple and found that I really loved Wonky. I do believe that these games will become a regular part of our holiday game marathons at Thanksgiving and Christmas. We prefer a literature approach to home school and use real or living books for history and English but a couple of my girls really like worksheets. I’d been contemplating what to do for my 16 year old; our history program has study questions but the format is very difficult to use. How do I get her to answer questions so that I have something to grade? Supergirl often needs extra practice with little skills. She loves worksheets and our math programs do not provide enough for her. I needed something easy to use that would work for Tailorbear and at the same time fill gaps and offer practice for Supergirl. The crew provided a solution! With the Individual Membership from Super Teacher Worksheets. Tim Weibel, who taught 3rd and 4th grades for over 10 years, founded Super Teacher Worksheets in 2007. This website offers activities, games, and printable worksheets for teachers and homeschoolers. There are over 10,000 PDFs covering Math, Reading & Writing, Phonics, Grammar, Social Studies, Science, and Spelling. In addition to traditional worksheets, you’ll find spelling lists, dice games, math mystery pictures, flash cards, memory card games, and more. The content is geared primarily for students in Kindergarten to 5th or 6th grade though I’ve been making use of the Quiz Generator to use with Tailorbear. I’ve been using the Matching, Multiple Choice, and Fill-in-Blank generators to take those study questions and vocabulary from her history program to create little tests. I take the very difficult to use study guide and take the information and input it into the generator and bam, I have a quiz she can take. You can use Super Teacher Worksheets for free but there are limits. The benefits of having the Individual Membership include unlimited access to all of the files. Currently there are over 10,000 files! Without a membership, a teacher or parent can only access a fraction of the available materials. I noticed that only two of the 13 PDFs for Integers are FREE. To access all of them I needed to log in to my Individual Membership. One of the biggest advantages of the Membership is being able to save the worksheets in a File Cabinet. I can work ahead creating multiple worksheets and save each of them in the file cabinet. I can then print them out as needed or even use them again and I don’t have to worry about printing them and losing the printed pages or having to save them to my computer. In addition to saving the worksheets I create using the Generator tools, I can click the file button and save all my favorites so that I can find them quickly and easily. This saves me time when I am planning my lessons. I can take an afternoon, browse through the topics I need and save them to the file cabinet to print when I need them. Supergirl loves worksheets. She has enjoyed using worksheets to supplement her regular math program. I was thrilled to find worksheets that covered place value and ordinal numbers in addition to addition and subtraction. I also used the Worksheet Generator to create a set of Matching Worksheets to practice matching upper and lower case letters. Each time I visit the site I find more and more things I can use to help. Super Teacher Worksheets' Individual Membership has provided the solution I need to find supplemental worksheets for re-teaching and extra practicing of a variety of concepts for Supergirl. With the different Quiz Generator tools, I have a solution to the not well laid out study guide problem I had with Tailorbear’s history program. Do check out the website. Give it a try. There is much that is free so that you can get an idea of how it works. You can try it out before purchasing the Individual Membership. Format: Downloadable PDF Files available from a website. Age Range: Content primarily for grades K-6th but Quiz Generator could be used for all ages. Price: $19.95 for a one year Individual Membership. A license for schools is also available.